Dan Sedor's practice focuses on litigation across a broad spectrum of business disputes, including the prosecution and defense of complex contractual disputes, business torts, fraud and securities fraud claims, trade secret and unfair competition claims, hotel management disputes, and partnership and corporate disagreements and dissolutions. 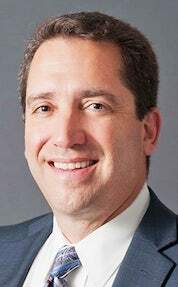 He also specializes in electronic discovery and data management, counseling clients on retention requirements and policies for electronically stored information before or in anticipation of litigation, the discovery of that information after the inception of litigation, and the use and management of that information throughout litigation and at trial. Dan is a co-chair of JMBM's Discovery Technology Group and a member of the Global Hospitality Group®. Represented a consumer electronics manufacturer in a breach of contract and trade libel dispute with a distributor in which the manufacturer was awarded $2.5 million in damages plus attorneys' fees after trial. In a hotel management dispute, directed the expedited capture, review and production of large amounts of electronically stored information of the hotel ownership group from locations and disparate computing environments located across the United States and successfully defended the ownership group against a request for sanctions based on alleged spoliation of emails. In a dispute between a hotel owner and a labor union, directed e-discovery involving expedited review and production of large amounts of client data through the use of sophisticated review tools and successfully opposed the efforts of a third party hotel management company to shift substantial e-discovery costs to the hotel owner. In an employment class action, directed the secret simultaneous capture and preservation of a retail cosmetics client's data from point of sale computers located in multiple retail locations across California. Represented a consumer electronics manufacturer and distributor in a class action alleging failures to pay rebates and another consumer electronics manufacturer in a class action alleging failures to honor warranties, both of which settled on terms favorable to the clients. Represented the majority shareholders in a successful defense of a minority shareholder freezeout action for breach of fiduciary duty and obtained an appellate ruling that minority shareholders are not entitled to a jury trial in such actions. Interactive Multimedia Artists, Inc. v. Allstate Insurance Co., 62 Cal. App. 4th 1546 (1998). Where can I find financing for my new project? Debt? Equity? Where can I find construction financing today? What do you do? What sets you apart? Can you help me finance my hotel project? I provide capital for hospitality projects. . . Why do I need a hotel lawyer? How do I learn more about EB-5? I have just been sued for ADA violations at one of my hotels. How can you help? Can you help me get a great hotel operator and hotel management agreement— or get rid of a bad one? Copyright © 2019, Global Hospitality Group® All Rights Reserved.